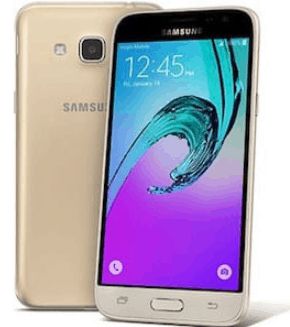 Galaxy J3 is the low end smartphone launched by Samsung with an amazing features. If you are Galaxy J3 user and want to connect your smartphone to a computer for flashing firmware or something else, then you need to download and install Samsung adb drivers. In this tutorial, you will find all the required official drivers for your Galaxy J3 smartphone, just stay stick and keep reading the article. The download link for USB drivers is in the download section of this article below. Samsung Galaxy J3 comes with Super AMOLED capacitive touchscreen. The size of display is 5.0 inches with a resolution of 720×1280 pixels protected by Asahi Dragontrail glass technology. The version of software installed on it is Android 5.1.1 or 6.0 and also upgradable to 7.1.1. It is powered by Li-ion 2600 mAh battery. The camera of the phone include 8MP primary camera with LED flash including features and 5MP secondary camera for selfies. The connectivity medium include WLAN, Bluetooth, GPS, NFC, Radio and USB. Price of Galaxy J3 in Pakistan is 16,500. Download USB Driver For Galaxy J3. If you are facing any problem while downloading and installing the file, then let us know in the comment section.